The RNZE Corps History Project (CHP) has been progressing on and off since 1980 and is finally reaching a conclusion. Since the formation of the RNZE CT in 2011, the project has been worked on almost full-time, through the oral history interview phase, the research and writing phase and now the pre-publication phase. The intent is to take the final manuscript/proof to print in October 2018 and achieve a book release in March 2019. Book launches are likely to be held in Palmerston North in April 2019 and at Parliament in Wellington, in May 2019. A pre-publication sale of the book is currently in progress (see brochure and ORDER FORM). 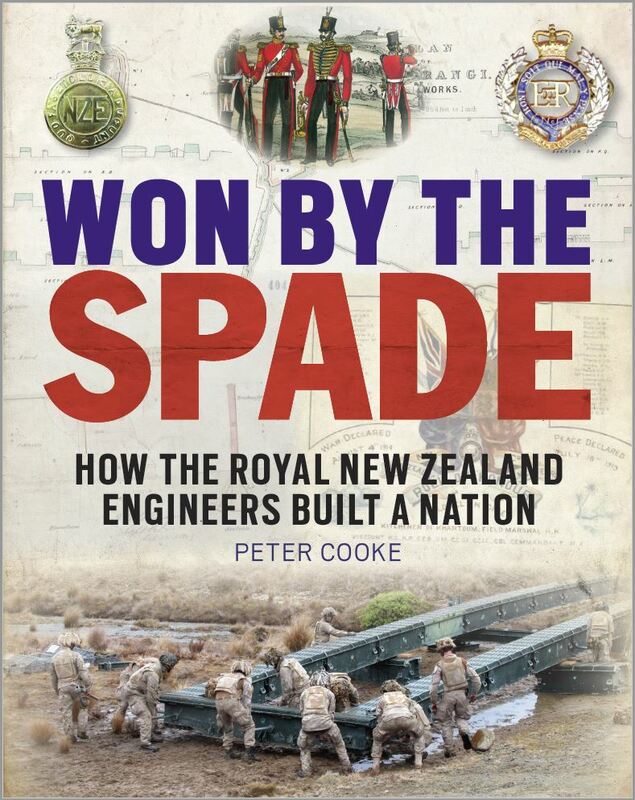 The book “Won By The Spade – How the Royal New Zealand Engineers Built A Nation”, written by Peter Cooke (Wellington) and published by Exisle Publishing (Dunedin/Sydney), is a significant historical publication covering the development of New Zealand since the 1500’s and more recently from the 1840’s up until the present day. Information about the book, project and those involved with the project are contained in the “Chronology”, “Summary” and brochure documents linked below. To celebrate the RNZE Corps Centenary in 2002-03, Dr Ian G. McGibbon (Senior Historian at the Ministry of Culture and Heritage) was commissioned by the RNZE Corps Committee and Sappers Association (NZ) Inc, to produce a “coffee table top” pictorial book to celebrate 100 years of service. It was always intended to follow this up with a more authoritative and detailed history of the Corps, which will now appear in the “Won By The Spade” publication in 2019. The RNZE Corps History Project: In consultation with the Ministry of Culture and Heritage (MCH), this project resumed in late 2011, after the formation of the RNZE Charitable Trust (RNZE CT). The project became one of the key objects and deliverables for the newly formed RNZE CT. During the RNZE Reunion in March 2012, a number of attendees at the reunion were interviewed and these retired Sappers formed the basis of the oral history interview (OHI) phase of the project. What follows is a brief outline of the project plan and staging, as well as a listing of those selected RNZE individuals, both retired and serving, who have been interviewed to date. Also, those who are planned to be interviewed through to completion of this phase in late 2014. All OHIs are held on professionally and digitally engineered DVD recordings, along with some video recordings and respective abstracts and transcripts, which are all stored at the ECMC in Linton Camp. There are also a number of backed-up files stored off site. They are available for use in the research and writing phase for the completion of the written Corps History and any other related research projects. Stage 1 – up to 35 interviews of selected retired RNZE personnel, during 2012-2014. Stage 1A – March to June 2012 “short form” (1-2 hour) interviews of Jack McDonald, Noel Woodley, Gil Laing, Doug Roberts, Keith Mitchell, Cliff Parker, Colin Corney. George Butcher, George Bridges, Bruce McDonald and Anthony Wilson. A “long form” interview of Clas Chamberlain. Other OHIs conducted by MCH for the VOHP, comprising Stu Couchman, Peter Foster and Don Smith, with a KOHP interview of Keith Hall. We also have a Te Manawa OHI for Mike Oliver and Gerry Grieve, associated with the MCH VOHP. Total of 17 x OHIs. Stage 1B/1 – June to September 2013 – Recruitment, engagement and hand over from MCH to external OH contractor, David Young of Wellington. Stage 1B/2 – November 2013 to April 2014 – “medium form” (2-3 hour) interviews of Oma Nepia, Ron Huggins, Hugh Mawson, Ged Shirley, Paul King, Darryl Solomon, Joe Hollander, Richard Cassidy, Grant Hardie, Stu Jameson, and John Flanagan. Total of 11 x OHIs. Stage 1B/2 to follow later in 2014 – “medium form” (2-3 hour) interviews of George Goldsworthy, Norm Leaf, Snow Rivers, Eddie Bruce and Ken Woods. Total of 5 x OHIs to follow. Stage 2 – “long form” (3-5 hour) interviews – this stage has been cancelled upon MCH advice, as the length of Stages 1 and 3 OHIs are considered more than acceptable. Stage 3 – April to June 2014 – “medium form” (2-3 hour) interviews of approximately 20 selected serving RNZE personnel, including Col Paul Curry (HQ NZDF), Lt Col Don Jones (HQ NZDF), Lt Col Ben Pitt (CO 2 ER), Maj Peter Curran (XO 2 ER), Capt Kevin Fee (2IC 25 ESS), WO1 Lyall Mooney (SSM SME), WO1 Shane Vooght (WO NZ Def Col), WO2 John Broderson (SSM 25ESS), SSgt Carl Fairbairn (STI SME), SSgt Carl Crawford (2 Fd Sqn), SSgt Nick Peauafi (25 ESS), Sgt Glen Abbot (HQ 2 ER), Lcpl Zac Sibley (2 Fd Sqn). Total of 13 x OHIs. Stage 3 – July to November 2014 – “medium form” (2-3 hour) balance of interviews for Lt Col Todd Hart (HQ NZDF), Capt Steve Denby (2IC 1 Fd Sqn, on return from Antarctica), WO1 Darrin Waitere (RSM 2ER), WO2 John Flintoft (HQ 2ER), Sgt Duane Old (SME), Cpl Georgina Shanks (2 Fd Sqn), Lcpl Glen Hayes (2 Fd Sqn) and Lcpl Sean Reekers (2 Fd Sqn). Total of 8 x OHIs to follow. This will close off the oral history interview phase with 54 completed OHIs, inside the target of 55 x OHIs. The latter target was approved by the RNZE CT Trust Board in 2012. Stage 4 – November 2014 – end 2017 – detailed research and writing phase of the project, with a view to complete a ready to publish manuscript in early 2018, with publication and release about mid 2018. It is anticipated that Stage 4 research and writing phase will cost some $130,000, prior to completion of a manuscript-ready for publication. An application and business case is currently being prepared for Stage 4, seeking funding from a number of sources, including NZDF, Lottery Grants and other external sponsors who are prepared to support the project. The project is being managed by Lt Col (Rtd) J S Hollander, RNZE on behalf of the RNZE CT, who first initiated the project in 1980 and has been trying to bring it to a satisfactory conclusion ever since. Early 1980 – Project commenced by SORE2, Army GS (Joe Hollander) upon instructions from CE (Dennis O’Brien). 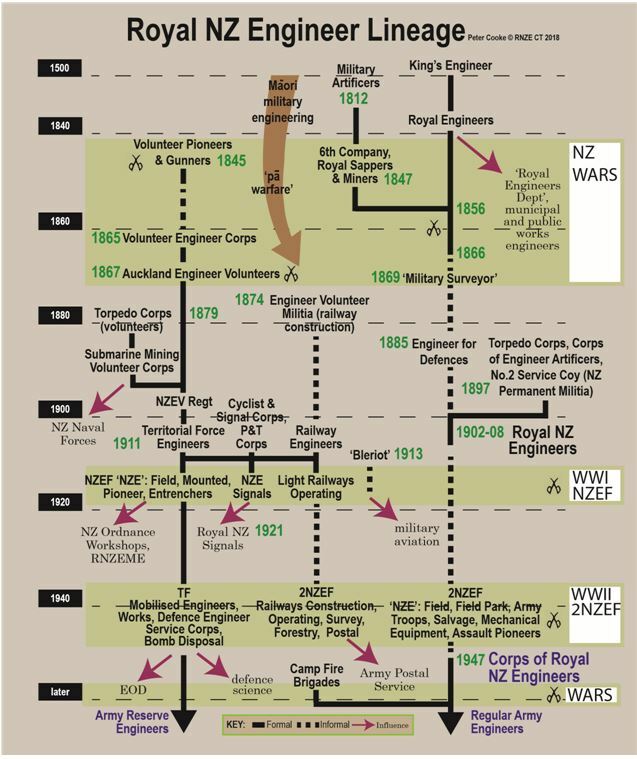 This was based on the premise that we had most official engineer histories from WW1 and WW2, but nothing about the RNZE since 1946. Mid 1980 – MA student (Peter Berry) completing a MA thesis for Waikato University (supervisor Laurie Barber) enlisted into TF as RNZE Sgt to undertake research. 1980-83 brief oral histories and research completed, thesis submitted and manuscript provided to CE’s Office. 1983-84 – manuscript proposed for Corps history book was rejected due to unsatisfactory nature of draft and lack of readability/anecdotal evidence/accounts. 1984-85 research, compilation and publication of the Sappers Association “Your History-Your Heritage” book, covering 25 years of the Association. 1985-98 – minimal activity on project, despite repeated pleas from Joe Hollander (retired in early 1991) to respective CEs/Regt Cols and Cols Comdt, RNZE for further action on the project. Jul 1998 – preparations made for RNZE centenary year (2002-03), including idea of a history book release of some sorts. Mar 1999 – “Letter of Exchange” NZ Army/DIA signed by CA (Maurice Dodson) and A/Chief Historian (Claudia Orange) for production of RNZA history. 8 Jul 99 – Letter from CGS (Maj Gen Dodson) to Col Comdt RNZE (Reg Barrett) acknowledging the suggestion of a proposal for a RNZE history based on the RNZA history project and in preparation for the RNZE centenary 2002-03. Oct 2000 – Report on Scoping Study by Claudia Orange for “A History of the Corps of RNZE”. This suggested a 500 page, 150,000 words with 100 photographs-style publication. 1999-2002 unsure what transpired during this period, other than an exchange of correspondence (none held) between RNZE and Army GS ? Late 2001 – Engagement of Dr Ian McGibbon (Senior Historian, DIA) to research and write a book “Century of Service” for RNZE. $10,000 contribution each by Sappers Association and RNZE Corps Committee for seed funding of book. Remainder came from pre-sale orders, Reeds as publishers and DIA, for research, writing and project management of same. 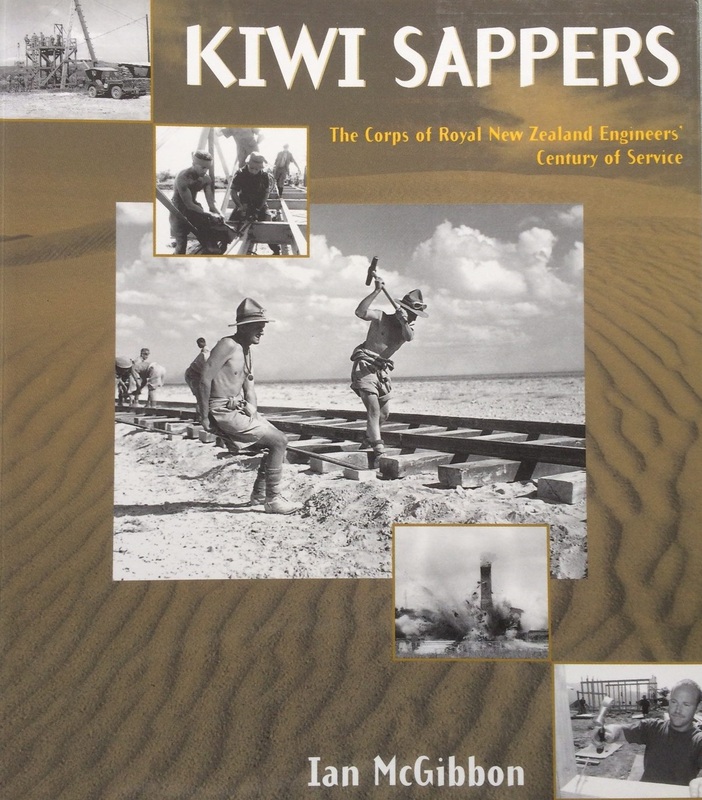 Mar 2002 – commencement of RNZE centenary celebrations and release of “Kiwi Sappers” book by Dr Ian McGibbon. Dec 02 – ‘Dot Brief’ for CGS agreeing in principle for the production of official Corps history for RNZE, seeking presentation of full proposal from RNZE. Late 2003 – end of centenary celebrations and agreement to continue to pursue with a full written official history of the RNZE, led by the RNZE Corps Committee at the time. 2004-06 – various exchanges with DIA (which became the Ministry of Culture and Heritage or MCH) by respective Regt Cols RNZE to establish the scope for such a project/undertaking. publication. This also recommended an oral history phase to precede the research and writing phase. The paper was circulated by Regt Col RNZE (Phil Morrison). Late 2006-08 – deliberation and discussions various within RNZE Corps Committee on the drafting of a proposal for CA to request funding support. 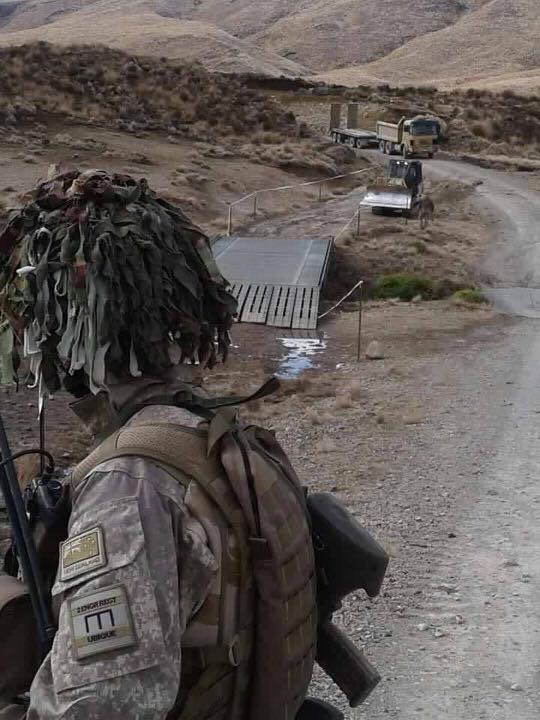 Jun 08 – Draft Proposal signed off by RNZE Regt Col (Marty Donoghue) and Col Comdt RNZE (Stu Jameson) circulated amongst RNZE History Advisory Group (RNZE HAG – comprising Col Comdt, Regt Col, Joe Hollander and Paul King) to finalise submission. Oral history phase estimated at $15,000 and book at $270,000 = $285,000 total. 8 Jul 08 – email from RNZE Regt Col (Marty Donoghue) confirming meeting with CA (Lou Gardiner) and advice that CA had approved $135,000 over three years to assist funding project (same as provided for RNZA history book). Also a suggestion to seek funding ($30k each) from the Corps Association (Committee) and Sappers Association. 22 Jul 08 – Letter from Fiona Bunce (widow of Patron George Bunce, who had left $10,000 as a bequest to the ECMA in 1988) to Joe Hollander as President of the Sappers Association, agreeing for this bequest to be directed towards the history project. Funds left on investment and realised some $16,000 total when uplifted in 2013 to part-fund the oral history phase. 24 Oct 08 – letter from CA (Lou Gardiner) to Col Comdt RNZE (Stu Jameson), confirming the terms and conditions of funding for the project (2009-2011) from Army GS. “RNZE Corps Association” had to meet the difference of $165,000 as a condition of release of the $135,000 by Army. Clearly this could not be achieved, based on the loss in investment values through the global financial crisis which occurred at this time. 2008-10 – further attempts to re-scope the project, reduce to fit realistic funding and try to commence an oral history phase without delay and using own resources. 12 Aug 09 – Meeting between Todd Hart and Ian McGibbon, with a recommended course of action while Army funding is pursued once again. 8 Mar 10 – ‘Dot Brief’ to “RNZE Corps Association” (presume by Regt Col RNZE, Todd Hart) to meet again with CA seeking funding assistance, plan to commence oral history phase, draw up a list of interviewees and subjects for same and establish a Historical Trust for fund raising and future development of the project. Feb thru Jun 2011 – interview candidate selection list confirmed by RNZE Corps Committee. May 11- RNZE Charitable Trust (RNZE CT) formed and incorporated/registered, with the prime task of looking after (project management) the RNZE Corps History project. 7 Jun 11 – proposal from MCH for “Video Oral History of RNZE” – Letter of Agreement. 30 Jun 11 – Regt Col RNZE (Don Jones) meeting with MCH reps to discuss agreement/proposal, plus proposed “Letter of Agreement from Neill Atkinson (Chief Historian, MCH). 20 July 11 – email report from Regt Col (Don Jones) updating the situation and recommending the way forward. Late 11 – agreement in principle entered into with MCH (Claire Hall) for oral history phase, estimated to cost up to $10k and hopefully funded by NZDF. 3 Feb 12 – updated proposal from MCH, with updated scope and cost estimates, finally agreed in late Feb 2012. To reduce costs and need for MCH to project manage task, Joe Hollander picked up this role for the future, under the aegis of the RNZE CT.
23-25 Mar 12 – Engineer Reunion in PN, conducted some 10 oral history interviews for those in attendance and from the selection list. Interviews undertaken by Claire Hall (MCH historian) and “project managed” by Joe Hollander. 21 May 12 – Project Progress Report from MCH (Claire Hall) recommending further work and recognising other oral histories available for the RNZE “collection”. 23 Jul 12 – proposed (email) outline project plan and timeline from Joe Hollander. 8 Oct 12 – further project progress report from MCH (Claire Hall). Oct 12 – May 13 – seeking funding to continue with Stage 1B, up to 16 further interviews of selected individuals. 3 Jul 13 – advice from MCH that they are unavailable to continue to provide oral interview and project management services for the project, as they are fully committed to the 50th anniversary for the Vietnam conflict and commencement of the WW1 centennial commemorations, both commencing early 2014. They would however assist us in engaging a suitable oral history contractor to continue the planned interview phase work. 10 Jul 13 – Estimate for Stages 1B/1(engagement of external contractor and handover from MCH) , 1B/2 (up to 14 oral interviews) and 2 (up to six detailed interviews – ‘long form’) from MCH, requiring some $36,500 +GST to complete. It was decided to merge Stages 1B/2 and 2 together and increase the time length of all interviews to up to 3.5 hours each, according to individual candidates and what they could offer. Jul-Aug 13 – MCH prepared suitable advert and sought contractor expressions of interest, plus selection of external oral history contractor in consultation with Joe Hollander. 28 Aug 13 – Joe Hollander met with MCH reps (Claire Hall, Neill Atkinson and Andrew Dalzeil [sound and post-production engineer]) and oral history contractor (David Young of Wellington), to confirm action plan. Stage 1B/1 in terms of handover from MCH now completed. 10 Sep 13 – Letter of Engagement signed by Joe Hollander (engaged by RNZE CT) and David Young as external oral history contractor. Sep 13 – early 14 – completion of part Stage 1B/2 (11 interviews of selected candidates in PN and Wgtn). Awaiting further funding to complete the remaining 4-5 interview candidates in the Akl and BoP areas and complete all of Stages 1B/2 and 2. Feb 14 – continue to plan for Stage 3 involving up to 20 oral interviews of selected appropriate serving Sappers, in the Linton/PN and Wgtn areas. Also the selection of potential historians/authors for Stage 4, the research and writing of the official history book. Mar – May 14 – further funding sourced and oral history interviews (OHIs) and post-production (sound engineering of recordings) continued. Mid-2014 – considered and consulted with a number of potential Stage 4 authors to seek a suitable candidate for engagement, if funding became available to complete the project. Also sought input and advice from Prof Glyn Harper, Dr Chris Pugsley, Dr Ian McGibbon and others. Jun – Aug 14 – commenced Stage 3 with OHIs of selected serving Sapper personnel. 7 Aug 14 – application package submitted to DIA/Lottery Grants Board (LGB) for Stage 4 funding, based on approx 2/3 of project budget shortfall ($98,914 + GST), with support from IPENZ CEO (Dr Andrew Cleland), Prof Glyn Harper (Massey University) and Dr Ian McGibbon (MCH). Aug – Nov 14 – continued raising funds to complete Stage 3, including OHI recordings, abstracts/transcripts and interviewee documentation (including consent forms, bios, CVs, questionnaires and photos) by David Young and Andrew Dalziel (Valley Audio). 18 Nov 14 – received grant from DIA/LGB for $113,751 (incl GST) for Stage 4.
publication-ready manuscript) by late 2017.
had been raised towards completion of the project. prepared and compiled by Peter Cooke. Jan 15 – Peter Cooke commenced Stage 4 of project, including monthly visits to the ECMC and 2ER at Linton Camp. 18 Apr 15 – First quarter project report compiled/presented by Peter Cooke to the RNZE CT Trust Board (for review at meeting on 15 May 15). 3 Jul 15 – Lodgement of all OHIs with the Alexander Turnbull Library (ATL) as a condition of the DIA/LGB grant (including 53 x OH audio interviews, 10 x video interviews, photos and project data [=700 digital files/200GB of data]. An additional 8 x OHIs are held from other KOHP and VOHP projects undertaken by MCH, as well a another 2 x OHIs completed by Te Manawa VOHP locally. 26 of currently serving members of the RNZE. 22 Jul 15 – Second quarter project report compiled/presented by Peter Cooke to the RNZE CT Trust Board (for review at meeting on 13 Aug 15). Project Summary – at this point, Stage 4 is well on programme/track and within the phase budget. The first draft chapter will become available later this year for review, by the RNZE Corps Project Advisory Group. We require further funding ($40,000) supplementation to cover project disbursements and to meet the current overall project cost/budget of $220,000. Click the link below to download and read the Notes.